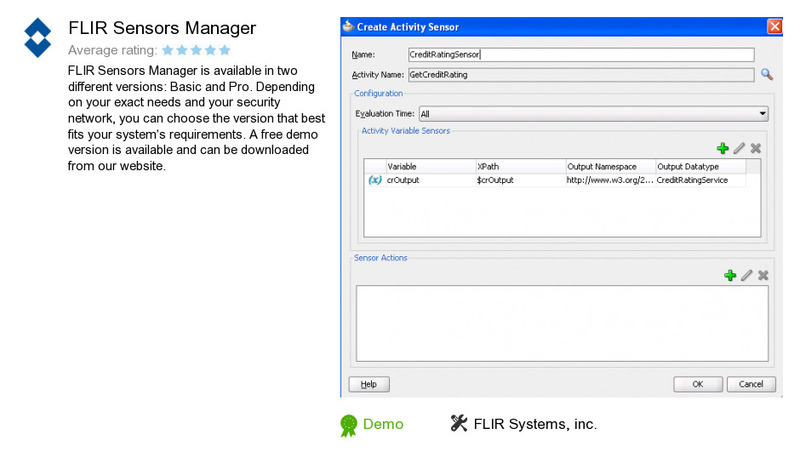 FLIR Sensors Manager is a product developed by FLIR Systems, inc.. We know of versions 4.0, 3.8, 3.6, 3.4, 3.2, 3.1. Version 4.0.0.1 is available for free download at our site. FLIR Sensors Manager package has a size of 398,790,712 bytes. FLIR Systems, inc. also publishes FLIR Reporter and FLIR Tools.